Over the years, I’ve audited hundreds of websites for SEO in my inbound marketing career - some good, some mediocre, and some awful. One of the first things I examine is a website's on-page factors. Those are the factors that the webmaster has control of. Aside from a website’s URL, a website’s page titles are the most important on-page factor for SEO. Because of this, it is very critical to get them right the first time. Below are some of the most common mistakes I’ve seen on website page titles. By only having five words in this page title we know that each word has a 20% saturation rate, as opposed to the first example which boasts a 7.14% saturation rate for each word. So by trying to stuff all of those words in the page title it is actually making each word less relevant. 2. Using Stop Words, Fluff Words & Jargon – Words like and, the, but, be, we, me, our etc. are stop words. These are words that rarely get typed into Google and provide no value to the person searching. Fluff words are those “salesy” words that mean absolutely nothing and provide no real value for a query. Examples include experienced, top, choice, best, most, professional, award, winning, etc. Save these words for your meta description. Often times, I see companies using their own industry jargon in their page titles too. Remember, people are going to your website to solve their problems. If they were experts in your field and knew your jargon they wouldn’t need your help to solve their problems. Stop words, fluff words and jargon also oversaturate your page titles and make your primary keyword phrase less relevant. 3. Geotargeting incorrectly – If your business services specific cities or regions it may be prudent to geotarget your on-page factors to make sure you come up on Google for geotargeted searches. A company might decide to include the name of their city in the page title. The most common mistakes I see in geotargeting is including multiple city names and/or the name of the state in a page title. I’ve done keyword research for hundreds of websites and have yet to come across a significant profitable state search query. 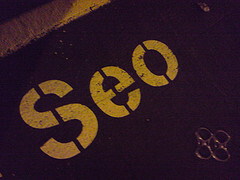 If you think you should be optimized for a state search query seek out the advice of a SEO professional to make sure. Just because you do business in multiple cities doesn’t mean you have to leave out the other city names from your website. In order to avoid stuffing them all into one page title simply make a unique page for each city and include that city name in the title for those pages.